It aims to provide those involved in the provision of Higher Education an opportunity to refresh and develop their skills to help them stay ahead in a constantly evolving sector. Key themes and strands are identified for the conference to ensure sector relevance and enable dissemination of best practice. This year’s event focused on three key strands: Times of Change, Digital Capabilities and Student Journey. A number of engaging key-note speakers joined the conference including Professor Wyn Morgan, Vice-President for Education at the University of Sheffield, who discussed ways to navigate the constantly shifting Higher Education landscapes, and Dr Rachel Maxwell, Head of Learning and Teaching Development: Policy and Practice, Institute of Learning and Teaching in Higher Education at the University of Northampton, who examined the potential and opportunities for large-scale pedagogic transformation to active blended learning at universities. Part of a packed programme including breakout sessions run by BGU staff, the speakers helped the conference cover a diverse range of topics including leadership; global; digital capability and technology-enhanced learning; transformative learning, teaching and assessment; student engagement and experience; student wellbeing (one of BGU’s key institutional goals); and quality assurance and enhancement. 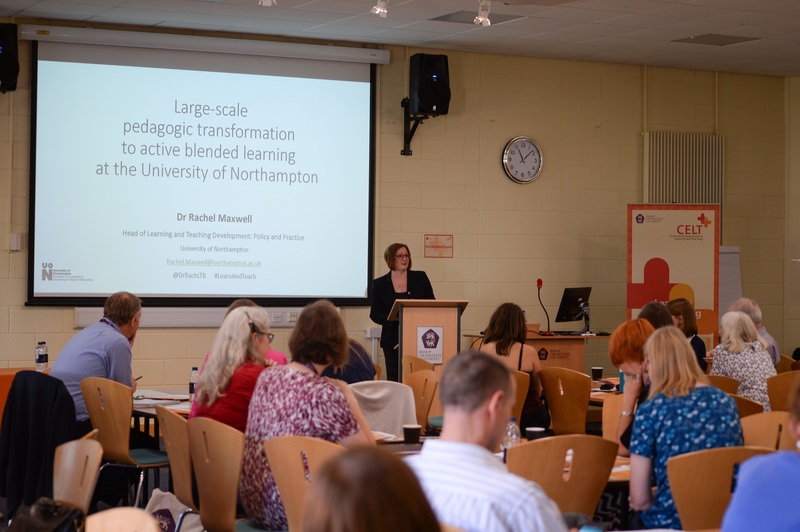 Over one and half days the conference was met with high praise from an incredibly engaged set of attendees, with the “excellent” and “fascinating” key-notes being picked by Elizabeth Farrar, Senior Lecturer in Primary Education at BGU, as her highlights whilst Caroline Meredith, who is studying for a Professional Doctorate (EdD) at Nottingham University, praised the “amazing” work of the CELT team in putting the event together. The CELT team are dedicated to promoting enhancement in learning and teaching and regularly run events and conferences to encourage this. Many of these are open to the public and if you would like to be part of them you can find more information on the exciting plans ahead on our events page.